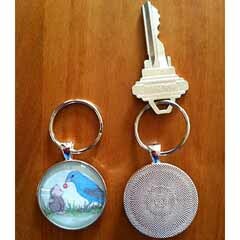 Ellen Jareckie, the artist behind our House-Mouse Gang, has personally hand-crafted these adorable mini Glass Key Chains. 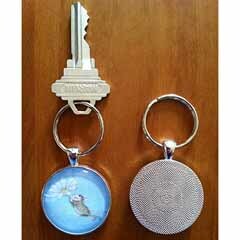 The key chains measure 1 1/4" across by about 1/2" deep (front to back). One side features a little mouse image embedded behind the glass dome. 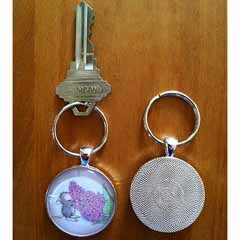 Each key chain is handcrafted by Ellen so quantities are very limited.